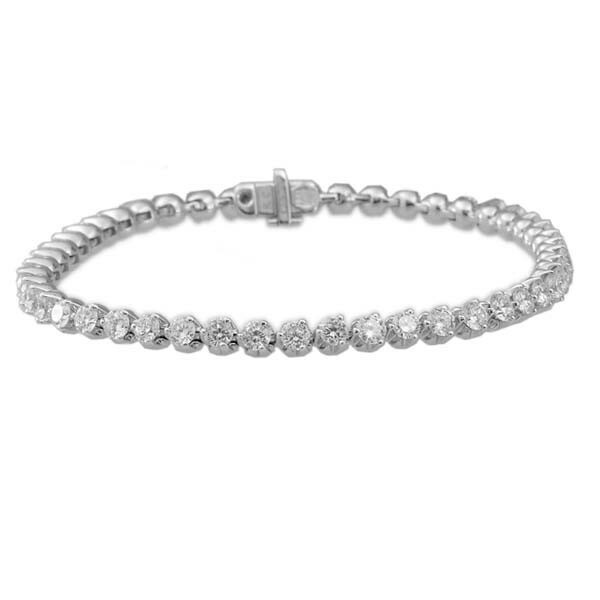 From the Cento Diamond collection, this Roberto Coin tennis bracelet is like no other. Each diamond gleams with 100 facets and is individually set in 18kt white gold. The sheer brilliance and simplistic beauty of this Roberto Coin tulip bracelet makes it a must-have for your personal jewelry collection.